“Your eyes are bigger than your stomach.”, a saying that my parents have been telling my siblings and I since we were younger. Being a petite girl who is only 5 ft. and 115 pounds it is evident that my stomach can’t hold much; however, I can imagine I’m not the only person who enjoys pigging out and eating more than I know my stomach is capable of handling. I can honestly say that if it wasn’t for my fifteen years of competitively dancing and spending five days a week in the dance studio, I would be completely out of shape. Altho ugh I am aware of that my petite body can’t handle a lot of food, I seem to not be aware of when I am actually full and satisfied. So how does our stomach signal our brain that we are in fact, full and it’s time to stop eating? Satiety is the main thing that allows our brains to realize that we don’t have any more room in our stomach to consume anything else at the time. This has to do with our hormonal and neurological signals basically sending a message to our brain from our stomach allowing it to tell us (our brains) we are full. The stomach walls functions accordingly to one’s states of hunger, and as a meal is being eaten, it stretches to provide sufficient space for our meals. 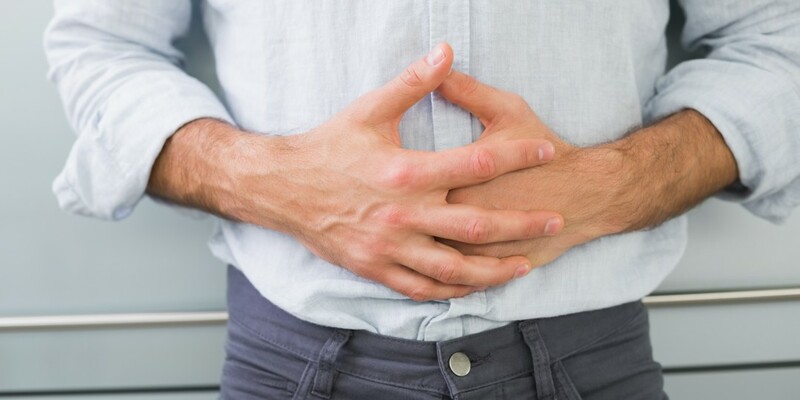 “Stretch receptors” within the nerves of our stomachs deliver signals to our brains, informing it to stretch and to eventually stop eating as a result of being full. 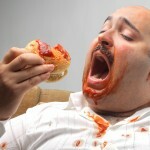 Simultaneously, the hormone “ghrelin,” which is primarily triggered when our bodies are hungry, slowly starts to reduce. As a result, an excessive number of impulses signal our brains to stop eating. It’s not only the mechanisms that tell us we are full but also timing helps us be alarmed of when should stop eating. Eating at a quick speed is presumed to be less beneficial than eating slower, as eating at a moderate pace allows us to thoroughly enjoy the taste and richness of our food were eating and bettering our digestive systems. It is suggested to test your fulln ess by standing up in the middle of a meal and observing how your stomach feels. The state of comfortability notes that your body has eaten enough; this technique will help avoid the heavy feeling of being full, uncomfortable, and bloated. So, next time you’re preparing to make a second plate of food for yourself, stand up for a second and make sure you are actually still hungry! This is a great blog and really interesting! I always tend to not know when to stop eating and always end up being extremely and uncomfortably full. I hate the feeling of being full but sometimes I cant stop it. Next time I debate whether or not to get seconds I will definitely stand up. My mom always told me to stop eating when you feel 75% full so you do not feel gross and uneasy. Here is an article on ways to help ease fullness and bloating if you do eat too much! This is a very interesting blog! You did an excellent job explaining why you might not actually be hungry. I think I will actually try standing up next time and see if I am still hungry. I did see that mentioned by someone else that eating slower means that a person typically will eat less. I have the problem of eating fast. I don’t even wait for my food to cool off, I just shove it down my throat and move on to the next thing I can find as quickly as possible. You did a very god job explaining the mechanisms behind some typical eating patterns and how to avoid doing something you should not be doing such as overeating. Currently, the U.S. adult obesity rate is over 35%. I have a feeling that overeating might be contributing to such astronomical numbers of obesity in America. It would be very interesting to see the relationship between the two. This was a good blog. It’s an interesting topic that relates to all of us. I like the idea of standing up to see if you are still hungry. I have never heard of this, but I’ll have to try it out. I never knew that there was that much going on just to tell your body you are full. In the article below it says that it takes 20 minutes for your brain to tell you that you are full. With that theory, I should be able to eat as much as I want for 20 minutes without getting full, but that is not the case. Depending on how fast I eat, I think I can feel full after 5 minutes of eating. What are your thoughts on this?